Actor Prabhu Deva gets a makeover from Pompi! 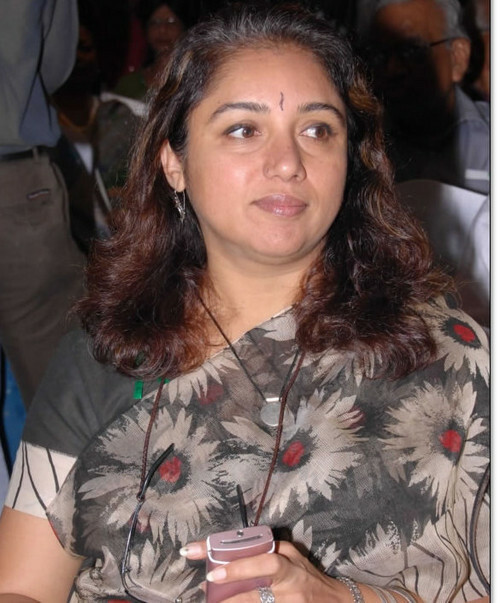 Yesteryear actress, Revathy is no stranger to the National Awards having already won two of them. Her first was for her performance in Thevar Magan and the second one was for direction awarded to the film, Mitr My Friend for which Shobana picked up the award in the Best Actress category. This year her film, Red Building Where The Sun Sets won an award for Best Film on family values. This non feature film with Anu Haasan as one of the leads is about a boy who tries his best to get his parents to stop their constant and bitter bickering. Critics have praised the film for its innovative narrative style. Many congratulations to Revathy! Amy Jackson's entry into Bollywood has caught the attention of the Miss Teen World contest management and they have invited Amy to be part of the panel to judge the Miss Teen World 2012 contest in Texas, USA. The Madrasapatinam girl who was the crowned Miss Teen World in the year 2008 is excited to be judging the same show that showed her the route to fame and success. Prabhu Deva has completed almost 90 percent of Rowdy Rathore and started work as hero in Remo directed AnyBody Can Dance (ABCD) India's first dance musical in 3D. He has lost almost 6 kilos, got a fantastic make-over from Pompi who is Kareena Kapoor's personal stylist and the shooting is taking place in Mumbai. A source close to Prabhu Deva says that he is all set to dance after a long break and has deliberately lost weight to stay fit and is busy with practices. ABCD, is produced by UTV Motion Pictures and will also have Ganesh Acharya and Lauren Gottlieb in the cast. Sachin-Jigar is the music director. Recently Prabhu told a Mambai tabloid: "I can feel so much energy on the sets of ABCD. There are so many fantastic young dancers in this film and matching steps with them has been really fun and tough for me at the same time. I feel like a teenager being around them and it's great to be dancing again. In fact, I feel more like a dancer working in the film than being an actor." Meanwhile, Rowdy Rathore is turning out to be one of the hottest projects in Hindi. The film was sold for a staggering Rs 35 crore, the highest for an Akshay Kumar film till date. Shruti Haasan has made heads turn — be it for her performance or for the way she handled the 'controversy' that surrounded the movie 3. Though the actress is just one film old in Kollywood, she has had quite a few accusations hurled at her, including a so-called affair with co-star Dhanush. However, despite the rumour mills creating quite a buzz, the actress managed to wade through with utmost diplomacy. Surely, there's a lesson to be learnt from this beauty, who seems to know all the tricks of the trade! Noted writers SuBa, the pen name of D Suresh and AN Balakrishnan, will be teaming up with maverick director Shankar for his next project. The buzz is that they will be penning screenplay for the filmmaker's upcoming Tamil film. Rumours are rife that SuBa got a call from Shankar's office recently. It is said that the filmmaker, who has a history of working with authors like late Sujatha and Madan Karky, has asked the duo to pen the script for the upcoming project, which is expected to be announced shortly. Shankar recently opened up on his next project on his website. He wrote, "he said, "As I started working on my next script, I couldn't be in touch with you. So far I have not finalised anyone regarding the next project. Just working on the story." However, other details about his project are under wraps. 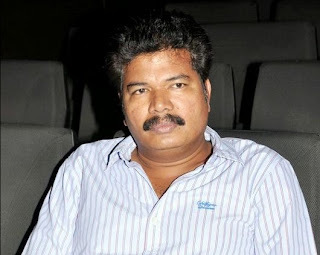 Earlier, SuBa had earlier penned scripts for the movies like Ko, Ayan, Nootrenbadhu, Kana Kandein etc. With a hearing impairment, Abinaya made her mark as a talented actress with her remarkable performance in Nadodigal. The journey has not been easy for this beautiful woman. Abinaya's father explains, "Within 30 days after she was born, we came to know that she has got a hearing impairment. We accepted it and prepared our mind to support our child. She was also unable to walk till she was 3 years of age. After medical treatment we made her walk. She was placed in a special school where she learnt lip-reading. She was very expressive right from her childhood and so we encouraged her to take up acting. Though her physical challenges upset her sometime, she never indulged in self-pity. She has overcome her disability with a positive attitude. Now as an actress she feels that language is not a barrier and she is able to work in any language.
" Her dad continues, "It was difficult until she was offered her debut film Nadodigal. Many hesitated to give her an opportunity as they thought that it would be too difficult to enact a scene with her. But Samuthrakani trusted her capability and introduced her in Nadodigal." On her never-say-die attitude, he says, "She works incredibly hard and is v ery focused on the task at hand. She immerses herself in the character and her mom is her constant companion. Abinaya has never felt shaken by the prejudice that comes her way. She has totally accepted herself and knows her limitations. With these limitations, she has also worked on building her skill-set and polishing her talents. Her disability is not an inability." Anushka is the latest toast of Kollywood. Be it a bikini clad role or a traditional one, the leggy lass has carved a niche for herself. Though she started with Madhavan's Rendu, she migrated to Tollywood and hit big time after the record-breaking success of Arundhathi. 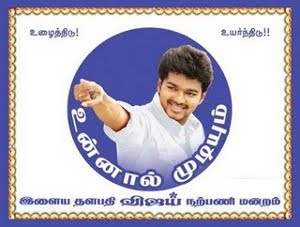 She was the first actress rumoured to have touched the one crore mark (in remuneration) in K'town when she was brought back for the Vijay starrer Vettaikkaran. Then Singham with Suriya happened! Anushka's second innings in Kollywood was in an enviable position and what followed were inspiring films like Vaanam and Deiva Thirumagal, which established her as an actress of substance. Anushka reduced her Tollywood assignments and started giving priority to Tamil films. Today, every big hero in Tamil wants to act with the Mangalore beauty and her kitty is full with half-a-dozen Tamil films. While she is doing a cameo appearance in Karthi's Saguni, the leggy lass is his heroine in Alex Pandian directed by Suraj. Smitten by her stunning beauty and acting prowess, director A.L. Vijay has repeated her in his Thaandavam with Vikram. The former yoga instructress is rumoured to be trying out a dual role — of a homely girl as well as that of an action heroine — in Selvaraghavan's magnum opus Irandam Ulagam alongside Arya. Yet another movie she is touted to be in is Ajith's next with Sirutthai Siva. She was also considered by the two icons of the Tamil film industry — Rajinikanth for Kochadiayaan and Kamal for Viswaroopam — which didn't work out due to various reasons.